GULU – Mityana Municipality Member of Parliament Francis Zaake has been charged with treason and remanded to Gulu central prison. 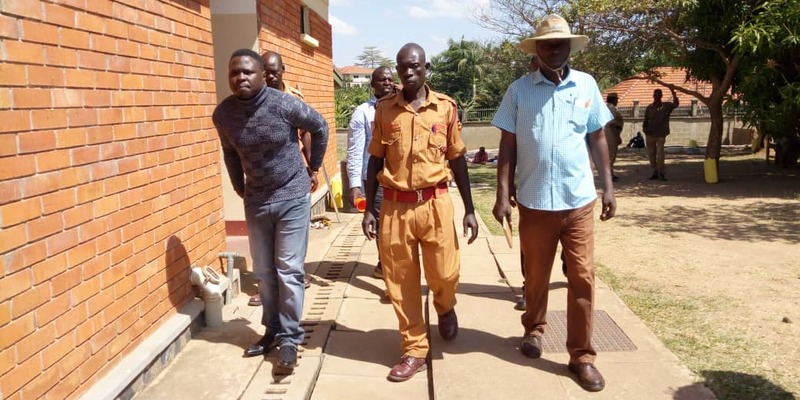 Gulu Chief Magistrate Isaac Kintu on Friday, February 22, remanded MP Zaake until March 14 when he will be returned to court for further mention of the case. After the police drove with him throughout the night from Kampala, Zaake arrived at the court at 10:40 am and was produced before Chief Magistrate, Daniel Lubowa. The charges of escaping from lawful custody were read to him. The legislator then entered a plea of not guilty. During the 20 minutes court session, Zaake was granted bail by the Chief Magistrate with a non-cash bail of Shs50m. Mr. Zaake was re-arrested outside the Arua Chief Magistrates Court moments after he had been released. After the re-arrest, the MP was driven to Gulu Chief Magistrates Court where a charge of treason was preferred against him but he did not take any plea as the is of capital nature, only triable by the High Court. His lawyer Henry Komakech Kilama says they will apply for bail on Monday. Zaake in December last year endured seven hours of interrogation by detectives from the Criminal Investigations Department (CID) on allegations of treason and escaping from police study following the violence in Arua Municipality by-election on August 13. A total of 34 people including the legislators are currently facing treason charges in the Gulu Magistrates Court. The charges followed the chaos that dominated the last day of campaigns ahead of the Arua Municipality by-election held in August. It is alleged that Bobi Wine and his contemporaries including Zaake commanded a team of youths that obstructed president Yoweri Museveni’s motorcade and pelted stones that smashed the windscreen of one of the vehicles in his convoy. In the aftermath, one Yasin Kawuma, a driver was shot dead. The 27-year-old also suffered severe injuries in 2017 when armed men stormed Parliament as Opposition MPs protested against the removal of the presidential age limit from the Constitution. At the time, he underwent treatment from the United States.